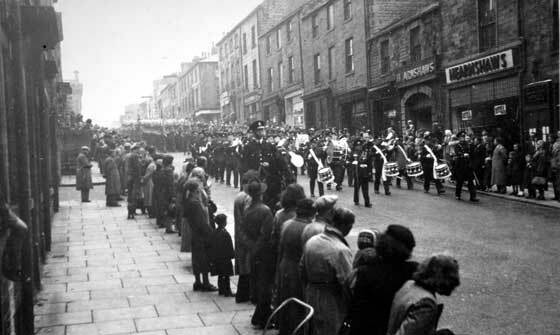 Band and Drums of the 1st Battalion, King's Own Royal Regiment, Brock Street, Lancaster. 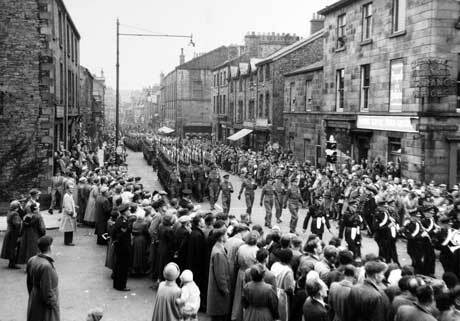 Number One Guard of the 1st Battalion, King's Own Royal Regiment, under the command of Major J A Paton. 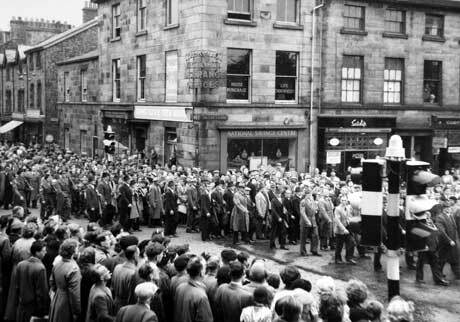 The officers at the head of the Guard and behind the band are Lieutenant Colonel W P Scott, DSO MC (Commanding Officer), Major R H C Bryers, Major M Smalley (Adjutant) and the Regimental Sergeant Major. 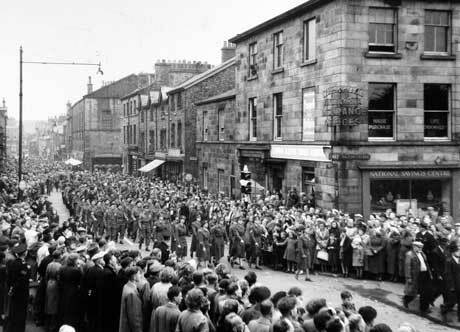 The Colour Party of the 1st Battalion, King's Own Royal Regiment, and Number Two Guard. 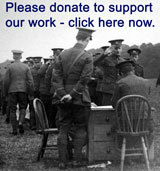 Under the command of Major P E Rowe. 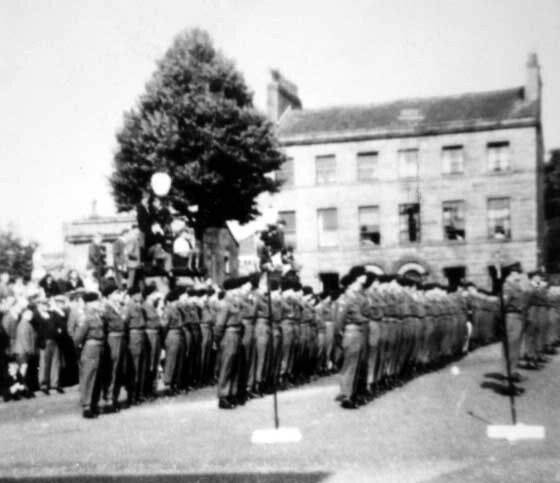 Number Three Guard of the 1st Battalion, King's Own Royal Regiment. 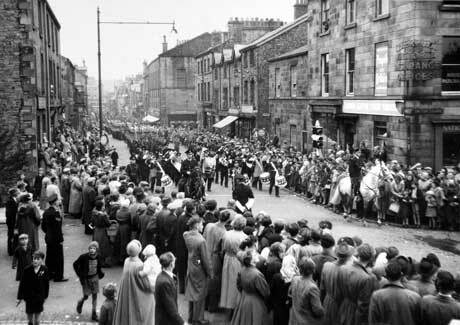 Under the command of Major E Rhodes. 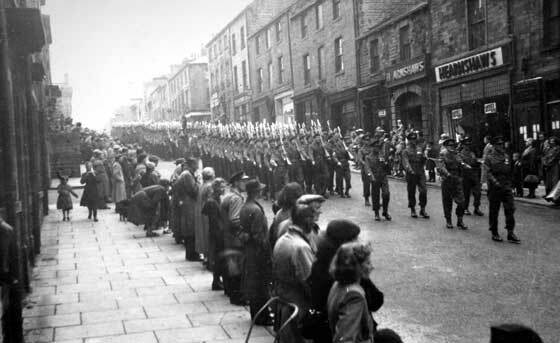 The Woman's Royal Army Corps and Home Guard marching along Brock Street, Lancaster. 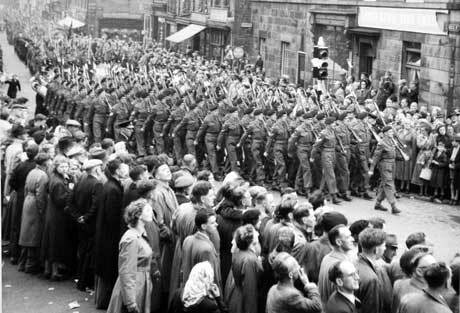 The Branch Standards of Preston, Manchester and Fleetwood followed by the Old Comrades of the King's Own Royal Regiment, Lancaster. 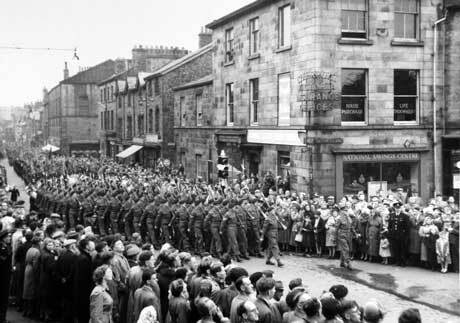 The Old Comrades of the King's Own Royal Regiment, Lancaster, arrive in Dalton Square, from Brock Street, Lancaster. 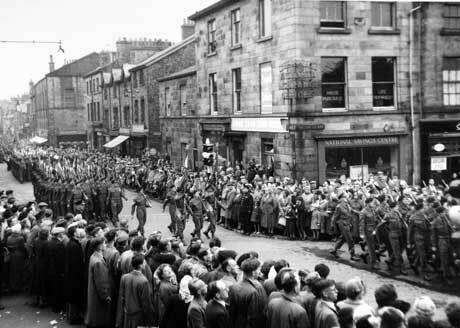 1st Battalion, The King's Own Royal Regiment exercising their right of marching through Lancaster, August 1953. 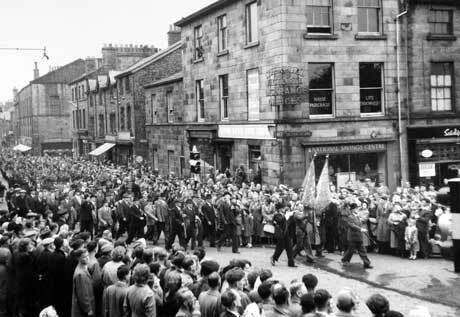 Parade in Dalton Square, Freedom of the City of Lancaster, August 1953.